Hadilli Fuadi Gozzaoni | Littler Mendelson P.C. 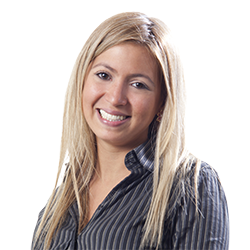 Hadilli Gozzaoni focuses her practice on labor law litigation, representing employers in labor and employment law matters before Venezuelan courts and administrative entities. She handles both judicial and administrative procedures and has particular experience representing clients before Venezuelan labor judges. Prior to joining Littler Mendelson, Hadilli worked as a counsel lawyer, practicing in labor courts in Venezuela.